The 10-storey complex will cover a gross floor area of 134,000 meters square and will comprise a whole range of play attractions for both kids and adults alike, a variety of popular restaurants and retail brands. To date, more than 90% of their retail space has already been occupied by big brands, including NYC’s famous Shake Shack and sportswear giant Nike. Whether you’re looking for international cuisines or local fare or even a place to sit down and sip on a pint of beer, this new mall has covered it all. After having left our sunny shores 10 years ago, we thought that the popular American fast food chain A&W will be gone for good. Good news to fans of their famous root beer float, waffles and curly fries—A&W will be re-opening in Singapore as one of the tenants in Jewel Changi Airport! 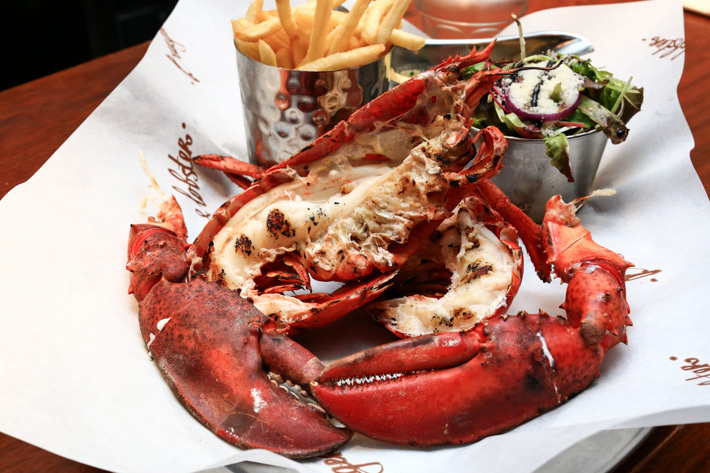 Those who have travelled to London should be familiar with Burger & Lobster, London’s famous lobster roll restaurant. Known for its rustic yet luxurious concept, the brand’s Singapore outpost will include new dishes that are inspired by local flavours, alongside their signature lobster rolls and burgers. Good news to our Muslim friends—well-known Western chain, COLLIN’S, will be opening a branch that specialises in halal European cuisine at Jewel Changi Airport. Branded as El Fuego, diners can tuck into the edible likes of steak, oysters, seafood and more here! Consistently ranked among the top chocolate brands in Switzerland, Läderach has been around since 1962 and now has 65 outlets across Switzerland, Germany, the Middle East and Asia. Promising the use of top-quality cocoa beans, their handmade chocolates will be air-flown and sold in their new outlet in Jewel Changi Airport come end-March. A Norwegian brand, Pink Fish is a salmon-centric restaurant that focuses heavily on sustainability. 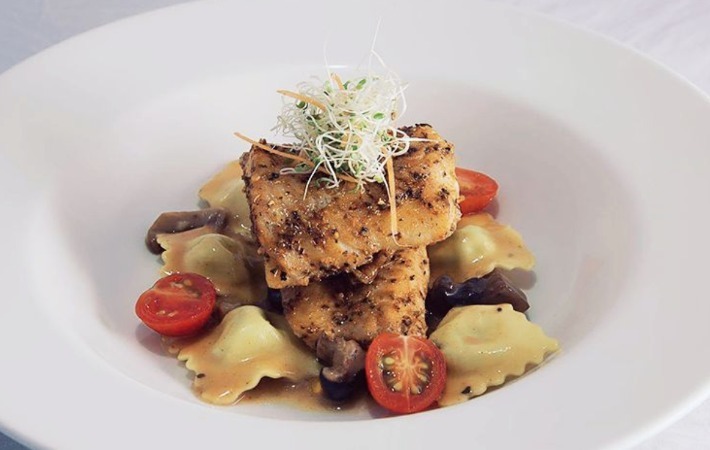 Using solely fresh Norwegian salmon, the restaurant aims to serve as a wholesome, healthy alternative to fast-food restaurants and their outlet at Jewel Changi Airport will its first ever outlet outside of Norway. Here you can expect a variety of salmon dishes in the form of burgers, wraps, hot pots and salads! The world’s only Pokémon Centre outside of Japan is set to open in Singapore at Jewel Changi Airport next year. As with every Pokémon Centre, you can expect to find seasonal and regional exclusive toys, stationery, trading cards, jewellery and even chopsticks! In addition, this outlet will be selling Pikachu plushies in pilot and cabin crew uniform, which are only available exclusively in Singapore! Since its humble beginnings as a hot dog stand in Madison Square Park, Shake Shack is currently one of the most well-known fast food chains in the world, operating 136 locations internationally. The fast-food brand will be making its debut in Singapore’s Jewel Changi Airport and will be having the same menu as Shake Shack in the US and South Korea. Sip on some local beer whilst touring the new mall with homegrown beer brand, Tiger Beer. The local brand will be unveiling a first-in-the-world concept in Jewel, Tiger Street Lab which will feature both F&B and retail elements. Look forward to Tiger’s usual range of beers as well as exclusive-to-Jewel seasonal brews and pair them with some of Singapore’s street food which will also be available on Tiger Street Lab’s menu. 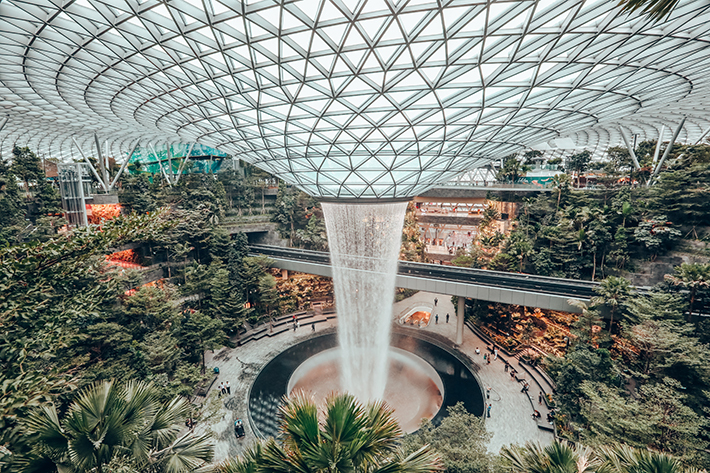 Besides the myriad of dining destinations, Jewel Changi Airport will also host numerous retail brands where you can shop till you drop and get some retail therapy. Of which, sportswear giant Nike will be opening a 1000 square meter store, its largest outlet in Southeast Asia. Local, homegrown brands such as Naiise and Supermama will also be introducing first-of-its-kind concepts for their stores in Jewel as part of Changi Airport’s efforts to introduce Singaporean brands to the rest of the world.